There are literally hundreds of types of equipment for seniors that claim to make life safer and easier. But how do you decide what your aging parents need and what works best? That's why we wrote this guide. It will help you sort through all the mess. As health care professionals, part of our job is to educate families and their aging parents on products that make their lives safer and easier. Over the years, we've met families that have purchased equipment for their loved ones that does't get used because it's the right idea but the wrong product. 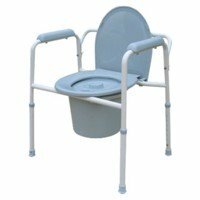 Did you know that a commode can be used at the bedside and over the toilet? 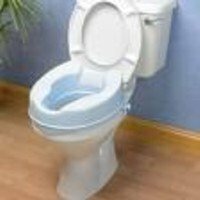 And that it can replace both a raised toilet seat and a toilet safety frame? Are you wondering if you should purchase a bath bench or a bath chair? Or maybe a bath lift? 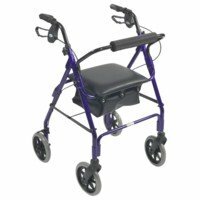 Read more about equipment for seniors to find products that can help your elderly parents. Removable devices that raise the toilet seat height by 3-4 inches. Individuals who have difficulty bending or sitting on low surfaces. 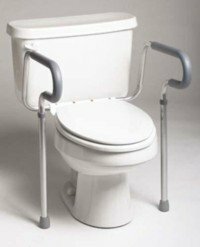 Securely attaches to the toilet to provide stability and security while sitting down and standing up. Individuals who need additional support to sit and stand. Can be placed by the individual's bedside so they do not have to walk very far to go to the bathroom. Individuals who are at risk for falls or have a difficult time traveling to the bathroom because of the location of the bathroom. Benches that extend beyond the edge of the bathtub which makes it easier to transfer in and out. Individuals with mobility difficulties. For example, those who use crutches, a walker, or a wheelchair. Transfer benches will help them safely transfer in and out of the tub without being at risk for slipping and falling. A chair that provides a comfortable seating surface for bathing or showering. Individuals who have low endurance, or difficulty standing in the shower or tub. Raises and lowers the user into the bathtub. Powered by battery or water power. Individuals who enjoy taking a bath yet are at risk for falling or slipping due to decreased endurance or poor balance. 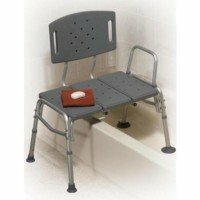 A grab bar that attaches to the side of the tub, which helps provide additional support while moving in and out of the tub. 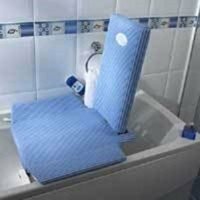 Individuals who have difficulty moving in and out of the tub and need additional support to prevent slipping and falling. 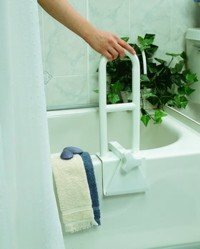 Grab bars come in a variety of shapes/sizes and can be placed by the shower, toilet and other locations. Individuals who need extra support moving in and out of the shower, on and off the toilet and many other places. Allows the user to move the shower head. 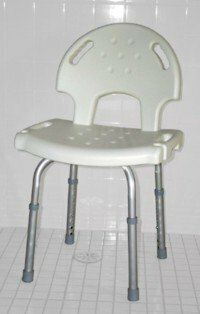 Individuals who use a shower chair or transfer bench as they can shower more easily with this device. 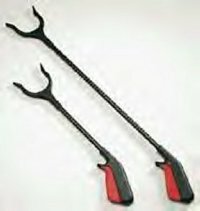 They come in a variety of lengths and have a long handle with a sponge at the end. Individuals with limited joint movement can benefit from the long length and bendable features which make it an ideal bathing sponge. 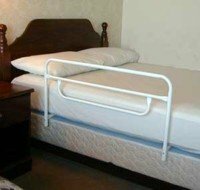 Securely attaches to the bed to provide assistance to individuals who have difficulty getting in and out of bed. Individuals who need additional support to get in and out of bed. 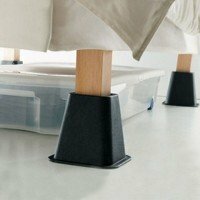 Raises the bed height from 2-6 inches. Comes in a variety of shapes and sizes. Individuals who have difficulty getting up and down from lower surfaces. Lifts up the blankets and sheets so that they do not touch the users feet. Individuals recovering from injury or surgery, suffering from bunions and ingrown toenails, joint pain and arthritis, and other foot and leg problems. Designed to elevate the upper body or legs, or to use as a trunk stabilizer when side-lying. Individuals with problem breathing, poor circulation, hiatus hernia, back or neck problems. 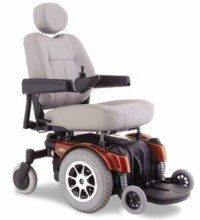 A self-propelled wheelchair that comes in a variety of shapes, sizes and colors. 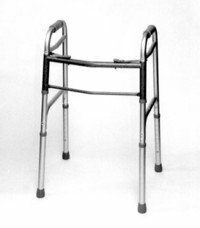 Individuals who have difficulty walking due to endurance, balance or neurological issues. 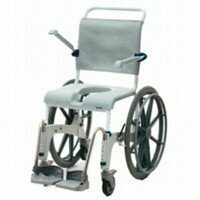 Similar to a manual wheelchair although is not designed to be self-propelled. The individual using the wheelchair is often pushed by another person. It is easier to transport in a vehicle as they are lighter, have smaller wheels and are more compact when folded. 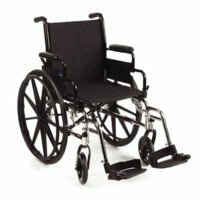 Individuals that need a wheelchair for longer distances and have someone that can assist them (by pushing the chair). A wheelchair that is designed to get wet so that it can be used in the shower. Individuals who use a wheelchair and have a roll-in shower. 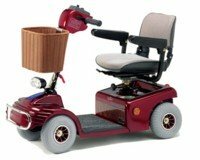 Can be self-propelled or pushed by a caregiver. A wheelchair that is powered by an electric motor. Come in a variety of shapes, sizes and features. 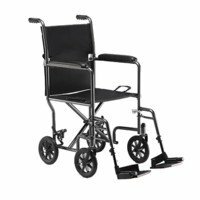 Individuals who have difficulty walking and are not suitable for manual wheelchair due to decreased endurance or neurological issues. Scooters for elderly a mainly designed for traveling outside of the home. Individuals who have difficulty walking longer distances. Can be good alternatives to driving or public transportation for short trips. A walker with four wheels, brakes and usually a basket. Comes in a variety of shapes, sizes and features. Individuals who have balance or endurance difficulties and are at risk for falls. 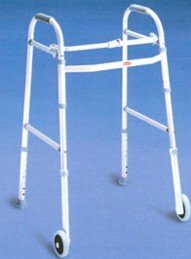 A walker with wheels on the two front legs. Come in a variety of shapes, sizes and features. A walker without wheels. Comes in a variety of shapes and sizes. 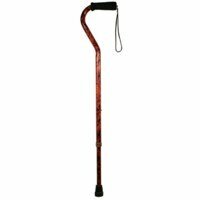 A single point walking cane. Comes in a variety of shapes and sizes. Individuals who have slight balance or endurance difficulties. 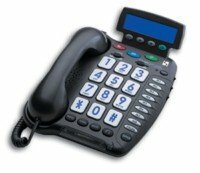 A cell phone designed for elderly with larger buttons and user friendly features. Individuals who could benefit from a phone that has larger buttons and easy to use features. Phones designed for elderly. Larger buttons and amplified volume options. Seniors that have difficulty hearing. An emergency system that a senior wears as a bracelet or necklace that they can push to signal for help. Seniors who are at risk for falls, especially those that live alone. Just as the names suggests... a long handled shoe horn. 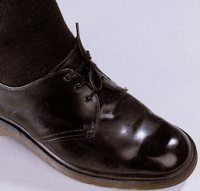 Individuals who have difficulty reaching and bending down to put their shoes on. Elastic laces that tie like regular laces but enable the user to slip into the shoe. Individuals who have difficulty bending and reaching to tie their shoe laces. 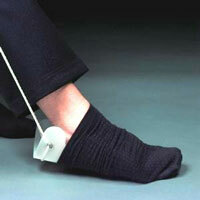 Device that allows users to pull socks on without reaching or bending down to their feet. Individuals who have difficulty bending and reaching. Device that allows users to pick up and move items without bending or reaching. Come in a variety of shapes and sizes.